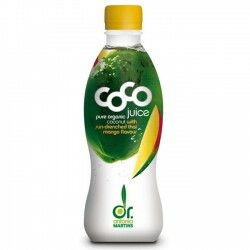 100% organic quality, hypoallergenic, free from genetic engineering, no preservatives or colourings, carbon-neutral production, rich in minerals, light and refreshing, and all made entirely from young coconuts. We stand out from the rest. And that’s how it should be because we do things differently and better! 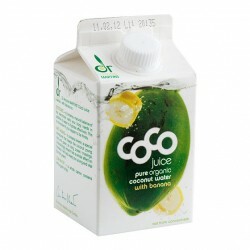 There are now countless coconut juice products on the market. But you have to look properly. 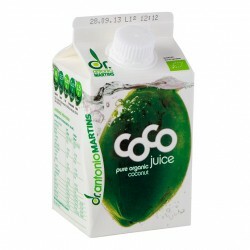 Dr. Antonio Martins’ juice is made entirely from young coconuts to make it so precious and delicious. Not like the juice from old brown coconuts. The tradition in Asia and South America is to only drink the juice from young nuts, which is often referred to as “the fluid of life”. For your body, soul and well-being. Dr. Antonio Martins prizes his genuinely close relationship to our suppliers and guarantees only to use young coconuts grown by smallholders and cooperatives to certified organic quality. 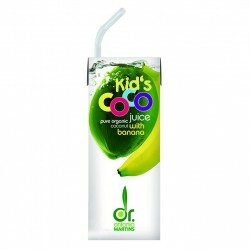 Dr. Antonio Martins is a pioneer in coconut water. He brought it to Europe more than 10 years ago, beginning even earlier than his American counterparts. Since 2002 we have developed and patented a complex filling and production process to bring you the authentic taste experience of the sort of young coconut you’re likely to find on one of the world’s countless beaches – but ready-packed and in the middle of Europe. Our decade of experience ensures that our juice is even better, say many of customers. Forget everything you’ve heard about fruit juice processing, UHT (ultra-high temperature) and hot-filling. We do things differently. 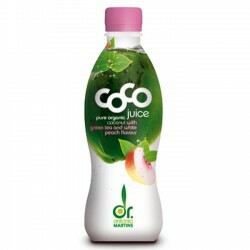 There are no preservatives added to our coconut juice and for our PET bottles and Elpaks wedon’t use ultra-high-temperature processing (UHT) like the others. We employ special filter technologies and finely tuned cold-aseptic filling. You can taste it. 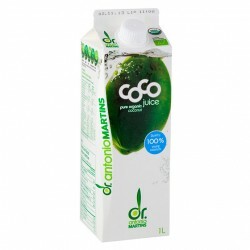 Dr. Antonio Martins has received numerous awards, such as the Best Taste Award in Gold 2007 from the Fine Food Guild in the UK, the Beverage Innovations Award 2008, the IFE fresh ideas winner gold 2007 as well as four further accolades in 2012 and another three in 2013. We are delighted – because once again independent sources keep confirming the quality of our products. And as if that weren’t enough, the production processes for some of our products are carbon-neutral, which you can tell from the “my climate” logo on the top of the packaging. The fact is that your taste experience is the result of intensive development and efforts stretching back more than a decade to bring you the best possible quality and best possible taste. Quality you can taste and feel! Since 2002.